Ready to revamp your bathroom storage units? Make room for these innovative vessels that will inspire you to think outside the box and reimagineordinary household items. Make freshening your breath easier by pouring your mouthwash into an olive oil dispenser to keep on your bathroom sink. It’s can be a pain to unlock the tricky mouthwash cap and manage to pour only a small about into a cup. This innovative solution is easy and will give you more control over pouring mouthwash. You can buy an olive oil dispenser at your local cooking store or on Amazon.com. Looking for a unique and innovative way to store bathroom essentials? For a rustic yet simple look, buy 1-3 woven baskets or small wooden crates and mount them onto your bathroom wall to store towels and toilet paper. There are lots of similar vessels and sizes to choose from to accommodate your bathroom and free up floor space. Stumped on how touse your empty jam jars? Fill them with Q-Tips or cotton balls and store them on your bathroom shelf for a neat, streamlined look. 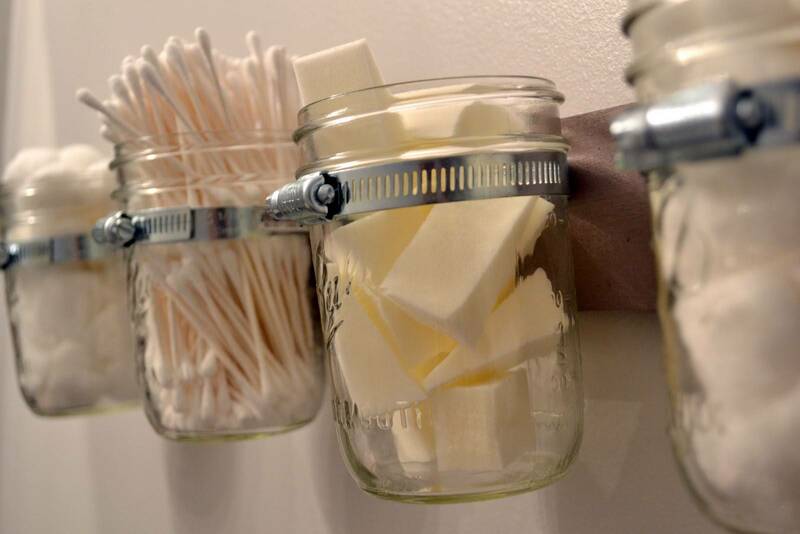 To keep out moisture and dust, use the jar lids to ensure your Q-Tips and cotton balls stay sanitary. It’s hard to avoid a cluttered cabinet or shelf without structured organization! Organize your lotions, toothpaste, shaving cream, and other personal items onto a tiered spice rack so that it’s easier to see and access your products. This is a great way to make the most of your vertical space on a shelf or against the wall. Limited shower space calls for innovative solutions to store your shampoo, body wash, shaving cream, and other products. A mesh shoe organizer is your best bet for keeping the corners of your shower free of clutter. You can attach this vessel to your shower rod so that it hangs against the inside of the curtain for easy access.